$100 iTunes Gift Cards are 25% OFF! 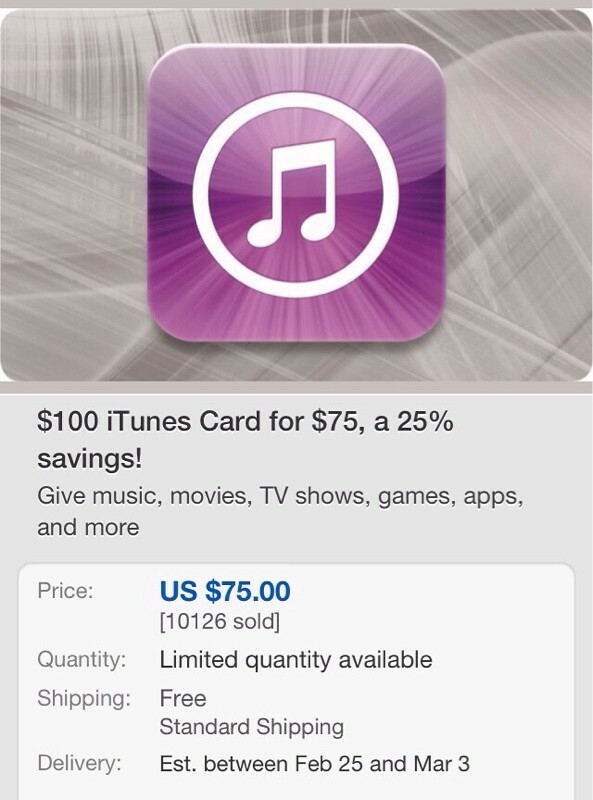 Today on eBay Gift Card Mall is have a huge sale on $100 iTunes gift cards! 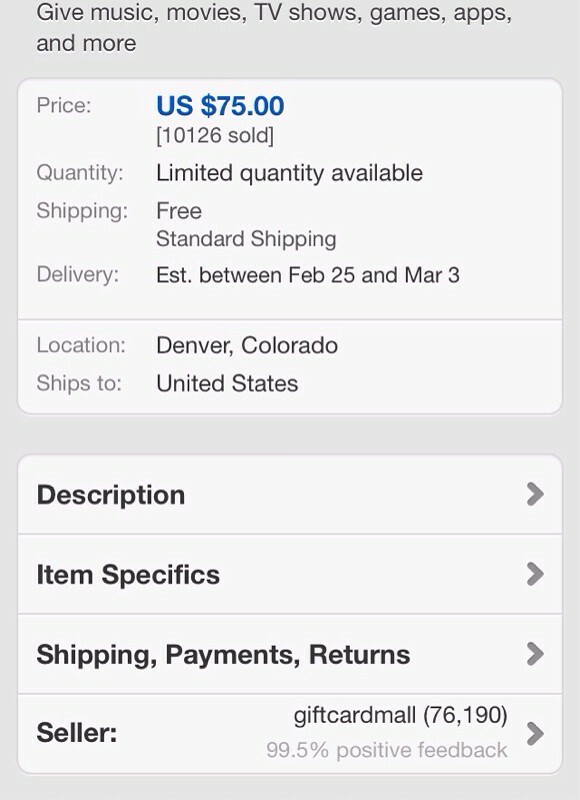 They are a trusted seller and we have purchased from them before. The iTunes cards are 25% off today and quantities are limited with already over 10k gift cards sold, hurry! There is a limit to 2 per user, follow this link.